‘Passion and knowledge’ is Mr van Gelderen’s professional motto. This is why he considers it important to work closely with clients not just as a lawyer, but also as a trusted adviser. 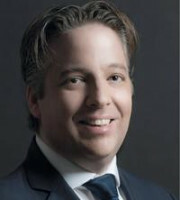 Mr van Gelderen is key editor of Dutch IP platform ‘IE-forum.nl’ and editor of The Copyright Lawyer magazine. He regularly lectures on IP law and is often asked to comment on IP issues in the Dutch media. Mr van Gelderen was a partner at a niche IP firm for 15 years before becoming partner at a top-30 firm where he led the IP and IT team. In 2017 he co-founded Clairfort Advocaten. Clairfort is a ‘firm of niches’ with offices in Amsterdam and Zeist.